We thank our musicians who made the Advent Jazz Vespers service special! Hailing from Buffalo, New York, Jacob Aguglia is a Freshman BFA in Acting Major at Shenandoah University. Though his main art form is acting, he is also very heavily involved with the Music Program at SU. He is involved in the SU Jazz Ensemble as trumpet player and vocalist, and has also been a featured vocalist with the SU Little Big Band. He is in the Shenandoah Chorus and a member of the "Buzzin' Dozen Pep Band". In his previous years, he has sung at the NYSSMA Conference All-State festival in the Vocal Jazz (2017) and Mixed Choir (2016) ensembles. He has also played and sung with funk-rock group "French Quarter Hounds" and jazz-fusion group "The Progressions". David E. Chávez is a composer, collaborative pianist, music theory professor, church musician, music director, and podcaster. His compositions include the opera Norton: A Civil War Story, which premiered with Loudoun Lyric Opera in 2014, and works for classical and rock instrumental/vocal ensembles, solo songs, choral music, and film music. Dave regularly plays piano and electronics in an eclectic variety of collaborative groups and settings, including with Opera on Tap DC Metro. Current positions include Music and Worship Minister at Abiding Presence Lutheran Church in Burke, VA, and Adjunct Assistant Professor of Music Theory at Shenandoah Conservatory. David holds two degrees in music composition from Penn State, and is a doctoral candidate at George Mason University. More at davidechavez.com. Jazz artist Craig Fraedrich has enjoyed a professional career as a performer and educator that spans over thirty years. He received his undergraduate degree in Jazz Performance from North Texas State University and Masters Degree from Arizona State University. He also studied at the University of Wisconsin-Milwaukee and the Banff Center for the Arts. He was awarded music scholarships at each of these institutions. 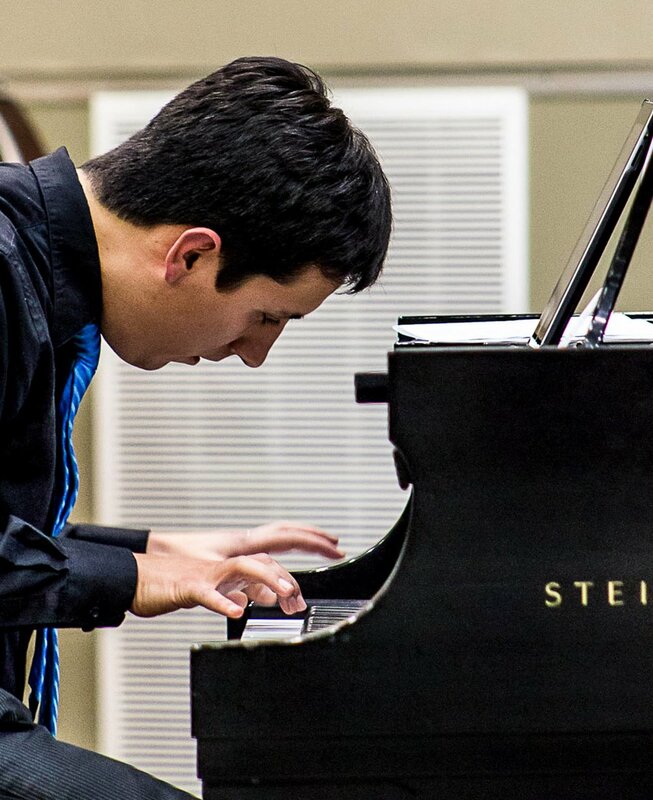 While in college he won numerous solo awards at jazz festivals throughout the country including: The Elmhurst Jazz Festival, The Notre Dame Jazz Festival, The Wichita Jazz Festival, The UT-Austin Jazz Festival, The University of Arizona Flagstaff Jazz Festival and the University of California Berklee Jazz Festival where he was named the outstanding soloist of the Festival. He was a winner of International Trumpet Guild Jazz Solo competition and leader/director of the first student combo to perform at the International Jazz Educators Conference. Since 1986 he has performed as a featured jazz trumpet soloist with The Army Blues, the premier jazz ensemble of the United States Army and one of the few full-time jazz ensembles in the country. During that time he also served as the groups musical director, trumpet section leader and assistant group leader. In addition to performing, he has composed or arranged over 100 pieces for the band. As a member of this prestigious ensemble, Craig has traveled extensively both performing and serving as a clinician. In addition to visiting much of the United States, he has performed in Australia, Japan, Sweden, Norway, Germany, China, Ireland, St. Thomas and at the Montreux Jazz Festival in Switzerland. He finished his career as a Sergeant Major, serving as the leader of the Army Blues and Element Leader of the Popular Music Element. Craig has pursued a significant solo career as well. He has released twelve compact discs with his own groups and has appeared on dozens of others as a side-man. His release, So In Love (featuring NEA Jazz Master Dave Liebman) reached number twelve in national jazz radio play according to Billboard Magazine. His most recent, All Through the Night on Summit Records is now available. Other performance highlights have included an appearance as guest jazz soloist with the Brass Band of Battle Creek for the premier of Wycliff Gordons Tribute to Muhammad Ali as well as the Kennedy Centers presentation of Ramsey Lewiss Proclamation of Hope, both of which were recorded for PBS. Craig continues to maintain a busy schedule in the Washington D.C. area. He is a dedicated educator and has been a faculty member (Associate Professor) at the Shenandoah Conservatory of Music since 1989 and was a Lecturer at West Virginia University from 2013 to 2016. His duties have included: teaching Applied Jazz Trumpet, Jazz Coaching (applied jazz lessons for any instrument) Music Theory, Jazz Theory, Jazz Arranging and Composition, Jazz Improvisation, Jazz Combos, the Little Big Band and has been the director of the Shenandoah Jazz Ensemble since 1999. Highlights directing the Jazz Ensemble included tours of Senegal West Africa with performances culminating at the St. Louis Jazz Festival and a tour of Ireland with a featured performance at the National Concert Hall. Craig has published three books as part of the Practical Jazz Theory for Improvisation series. He has studied improvisation with Dave Liebman, Kenny Wheeler, Chuck Marohnic, Rich Matteson, Dan Hearle, Jack Peterson, and Frank Puzzullo. Additionally, he cites the remaining faculty at the Banff Centre for the Arts (1985- Dave Holland, John Abercrombie, Don Thompson, Marvin “Smitty” Smith, and Julian Priester) as major influences. His principal trumpet teachers have included Dennis Najoom, Dr. Leonard Candelaria, Don Jacoby, Dr. Wayne Cook, Steve Kossoris, Chuck Tumlinson and Ken Van Winkle. Bassist and band-leader Jacob Pembelton is from Winchester, Virginia and grew up playing a menagerie of music. With beginnings in the church and coming from a moderately musical family, he starting playing the trumpet in 6th grade at Aylor Middle School and soon moved on to tuba. Outside of school Jacob became interested in the bass at the age of 13. After he saw a band perform and being draw towards the electric bass (bass guitar) he decided he had to get one. After a few years of learning the electric bass he began playing in youth bands through "The Rock Room", under the direction of Phil Zuckerman. During this time he wanted to make playing bass his primary focus at school and switched to playing upright bass. Although there was no orchestra program in his school system, the band director Ryan Dempsey allowed him to play upright bass in both the wind ensemble and the jazz band provided he could get an upright bass (which he did!). Jacob first began actively performing with the modern rock group, "Justified Asylum", to which had had belonged to throughout high school. Moving towards jazz and blues, he played at the Blues House Festival in Winchester, VA with "The RR All-stars" and soon began taking lessons on upright bass with Inez Wyrick. Prepping him for the next step in music he went on to major in Jazz Studies at The Shenandoah Conservatory under Donovan Stokes. Since coming to college he has had the opportunity of working as a part of various recording projects, large ensembles, and live bands. Most notably was his time with the group "Bees? ", in which he was on the recorded album "Buzzkill" and toured through NYC and north east. Currently Jacob is a member of both Shenandoah's Big Band and Little Big Band, various jazz combos, and leads the Sweet NOLA's Po'Boys. He actively gigs in Winchester, Washington D.C., and the Northern VA area. When not playing the bass, Jacob enjoys apprenticing under Thomas Wolf in The Plains, VA. There he does maintenance, building, and restoring of the upright bass. Recently he finished a 18 month restoration of a 1900's German bass, that he plays as his main bass today! 🚀Fall Music Ministry Rehearsals Launch! 🚀 Who, What, When? Our Fall rehearsal schedules kick off starting RIGHT NOW in early September! From the AP Mission Team 2018 trip to La Romana, Dominican Republic – This little guy was definitely eager to join the music ministry. May we all have the same boldness to make a joyful noise to the Lord! We've expanded our Youth Choir rehearsals this year to weekly on Wednesdays. We'll also be expanding our outreach beyond our walls in most of our adult and youth ensembles! Why? We've got a really special music ministry at Abiding Presence, a blessing worth sharing. I invite you to join me in sharing your love of God, neighbor, and music in whatever way you feel most comfortable. Do none of the groups listed below quite fit you? We're always looking for special soloists (vocal & instrumental), small ensembles (duets, trios, etc. ), cantors (for Saturday 6:00 PM and Sunday 11:00 AM worship), audio-visual tech team, and office/library/logistical support volunteers. Not sure where to start? Got a friend/family member (or yourself) who wants to get involved but isn't sure whether you/they have anything worth offering? Come talk to me (David Chávez, Music & Worship Minister) after church or email me. I'll buy you a coffee/tea/frapp and we can chat in a no-obligation way about ways to serve our faith family and community through music, worship, and the arts. All you need is willingness to serve, and there is a place for you at Abiding Presence. Visit AbidingPresence.net/music for more detailed information. If you are interested in participating in any of these groups, email dave@abidingpresence.net to be added to the email list, or just show up for rehearsal! Rehearse during Wednesday Night Gathering (half hour rehearsals grouped by age/grade level, starting Sept. 26. Please watch the weekly announcements and e-news for updates. From Lori: We are looking forward to a great year. The children will be invited to participate in several church services during the year, a short Christmas production in December, and a musical in May. Please plan to join us on Wednesday nights. If you are not able to come every week, come as you are able. Check the full schedule of Wednesday night activities, as that will include other activities in which the children can be involved. 7:30 p.m. until 9:00 p.m. - Anniversary Choir rehearsal (all welcome, including past singers and any instrumentalists who would also like to sing in the choir; get sheet music and more info here). Anyone singing in choir is asked to come to at least one (or both) of the rehearsals on May 15 & May 19. 9:00 a.m. until 10:15 a.m. - Anniversary Choir rehearsal (all welcome, including past singers and any instrumentalists who would also like to sing in the choir; get sheet music and more info here). Anyone singing in choir is asked to come to at least one (or both) of the rehearsals on May 15 & May 19. 10:00 a.m. until 11:15 a.m. - Praise Band & Orchestra rehearsal (overlaps by 15 minutes with choir rehearsal on purpose in order to rehearse one piece together; this rehearsal includes all instrumentalists, including everyone playing praise band-type instruments like electric guitar, drums, etc., and all brass instruments; praise band singers will rehearse at a separate TBA in separate email). This rehearsal also includes audio-visual tech team to get set up for Sunday; we will be able to leave all tech setup in place after rehearsal so we don't have to re-set-up Sunday morning. rehearsals will end by approx. 9:20am in order to give everyone time to use the restroom, get a drink of water, etc. 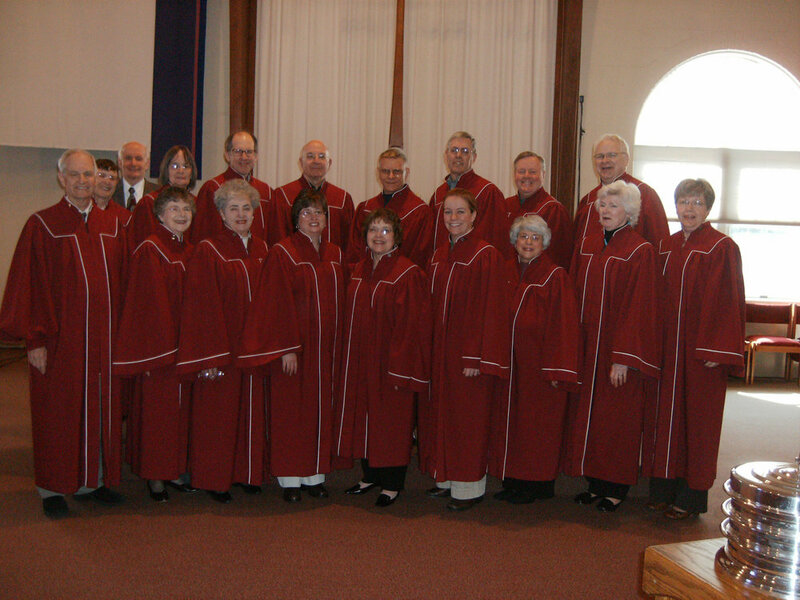 Sing with Anniversary Choir on May 20! Have you sung in choir any time during the 40-year history of Abiding Presence? Know anyone else who has? We're going to make our 40th Anniversary Festival Service at 10:00 a.m. on May 20 an opportunity for a giant music ministry REUNION! Spread the word, and see below for more info and music selections. You can even sing in Anniversary Choir if you've never sung before! "The Church's One Foundation" arranged by Paul Manz. Click here to view a preview of the sheet music (PDF) and click here to listen to a recording to prepare. Click here to view sheet music (PDF) of the choir parts. Click here to listen to a computer recording (mp3) of the choir parts. Listen to Tenor & Bass parts emphasized. Listen to Alto part emphasized. Listen to Soprano part emphasized. The congregational songs are as follows. Click the titles to view sheet music or listen to a recording. Titles marked by an * are going to be primarily led by the praise band, though choir is welcomed and encouraged to join in the singing! *This Little Light of Mine! On May 20, we will gather at 8:45 a.m. prior to the start of the festival service at 10:00 a.m. Plan to get to Abiding Presence (directions) a little before 8:45 a.m. to find parking. For a more detailed schedule of all musical activities (including orchestra, etc.) that weekend, click here and feel free to share! Since we hope to have a lot of singers, we won't wear choir robes. Everyone is asked to please dress nicely (decent slacks/shirt or dress) and include something red for Pentecost! The red can be a tie, an accessory, or as much of your outfit as you like! Do we need to bring choir folders/binders? Not necessary, but if you have one you prefer feel free to bring it. We will provide sturdy black binders for all who need them. This Maundy Thursday at 7:30 p.m., we welcome a special group of jazz musicians to help lead our worship service. Meet them below, and catch a preview of the service with this video of Christal singing Craig's arrangement of "I Am a Poor Wayfaring Stranger." It's hard to overstate the importance of spirituals in African-American culture. Here are some starting places to learn more about this rich heritage of music and its significance. 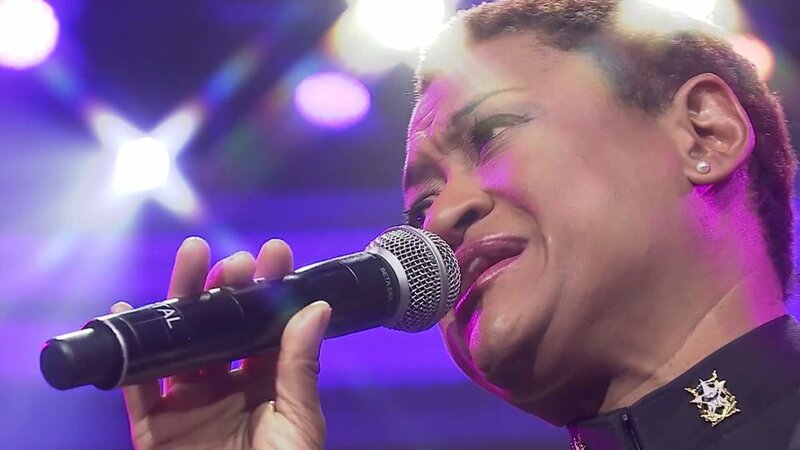 Learn about how spirituals were and are an important part of Christian education in this article from Yolanda Smith, Assistant Professor of Christian Education at Yale Divinity School. Detail from a page from an early edition of The Sacred Harp, a shape-note hymnal. Source: The Library of Congress (loc.gov/item/ihas.200038829).